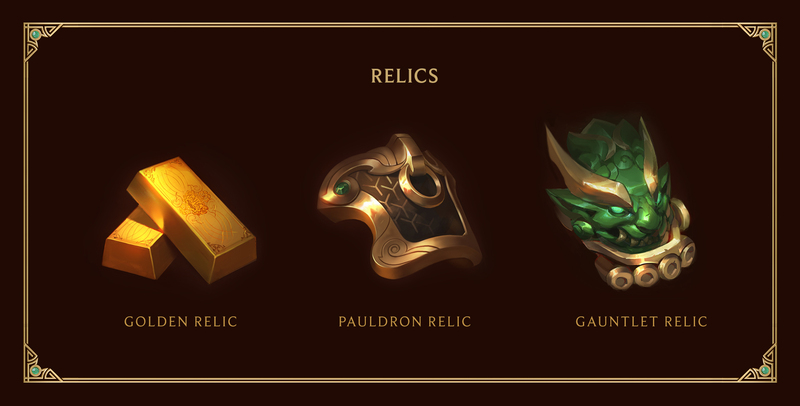 This Lunar Revel, we honor the past and celebrate the future with tokens of good fortune and relics from a past long forgotten. 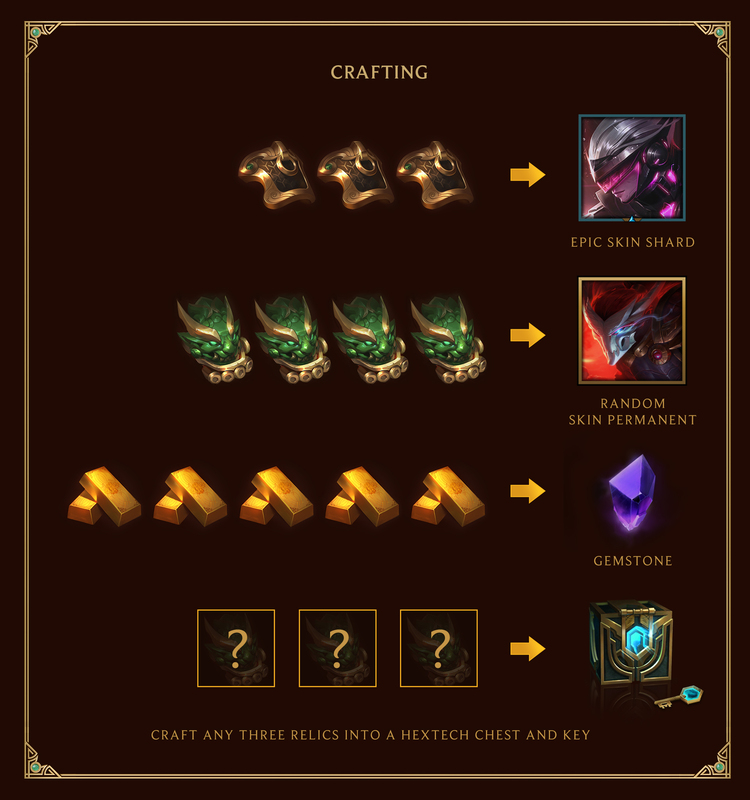 Craft now until February 2, 2017 at 23:59 PT. 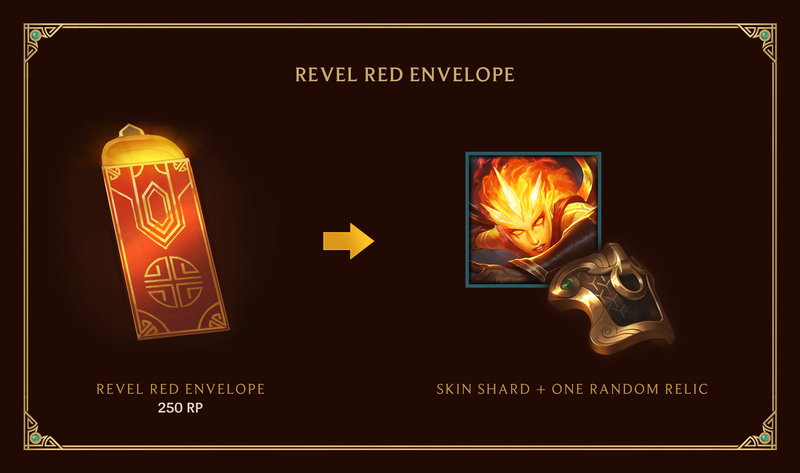 Combine Relics to craft Epic Skin Shards (1350 RP skins), random skin permanents, Gemstones, or Hextech Chests and Keys.